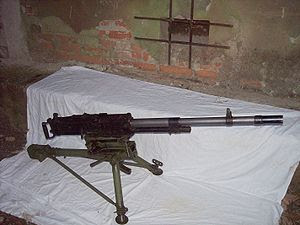 The Breda Modello 37 was an Italian heavy machine gun (Mitragliatrice Breda MOD.37) adopted in 1937. 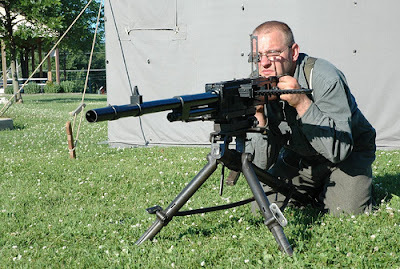 It was the standard machine gun for the Royal Italian Army during World War II. 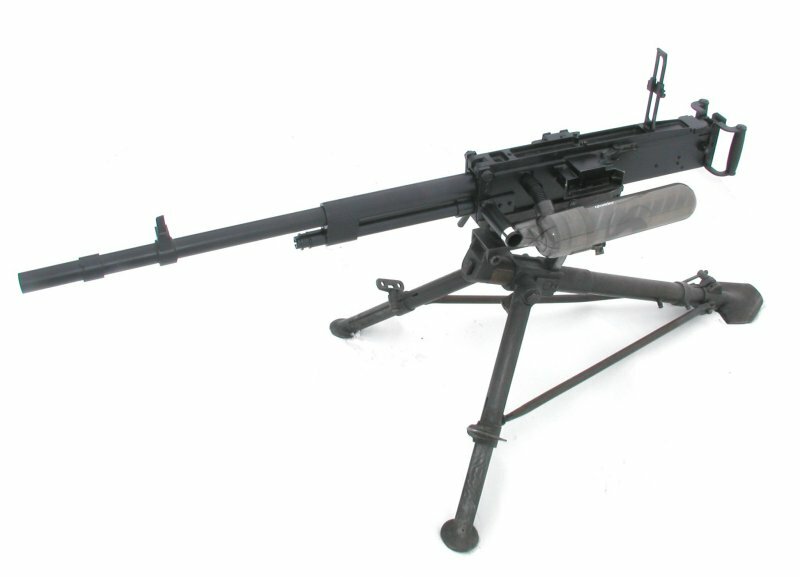 The M37 was meant as company/battalion support as compared to the more troublesome M1930 meant for squad/platoon support, and proved far more effective in combat, though possessing some of the same problematic features of Breda 30. 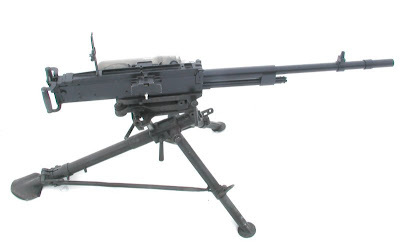 In service, the M37 and M38 Bredas proved to be fairly reliable heavy machine guns. Perhaps because the heavy support weapons received more attention from their crews, field reports were generally positive except for jams caused by desert sand and dust, which in the Western Desert affected all infantry machine guns to some extent. 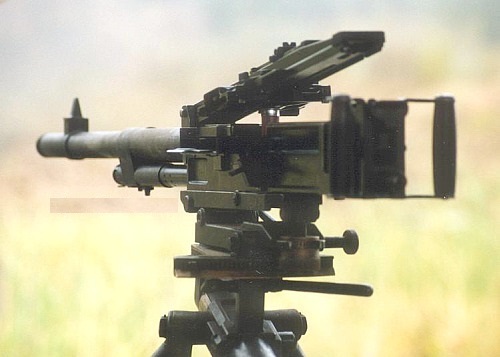 The M37 Breda's slow rate of fire helped prevent overheating during continuous fire, and its powerful, heavy-bullet cartridge had excellent range and penetration. 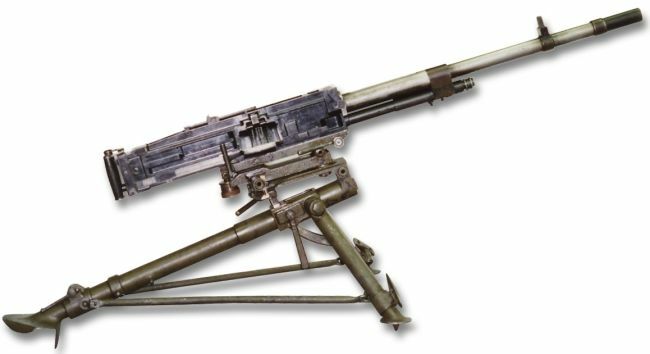 The weapon remained in first-line service with Italian forces throughout the war, and captured examples were used in combat by British and Commonwealth forces, including units of the SAS. The Breda Modello 38 was intended for vehicle use, and was fed from a top-mounted box magazine. 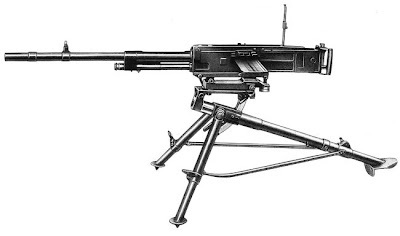 The Modello 38 used a pistol style grip, rather than the twin firing handles of the Modello 37. This was the main vehicle-mounted machine gun used in fighting vehicles by the Royal Italian Army. Production ended in 1943. It was still used as a standard machine gun after the war, until it was replaced by more modern machine guns.